Group B only lasted from 1982 to 1986, but in that short span of time, they yielded some of the most impressive machinery ever. ..The Audi Sports Quattro, BMW M1, and Porsche 959 might never have come to be if not for Group B, as well as the Ferrari 288 GTO. Unfortunately, the FIA shut down the Group B category before the 288 GTO ever got to compete, but if it had, the racing version might have looked a little something like this. 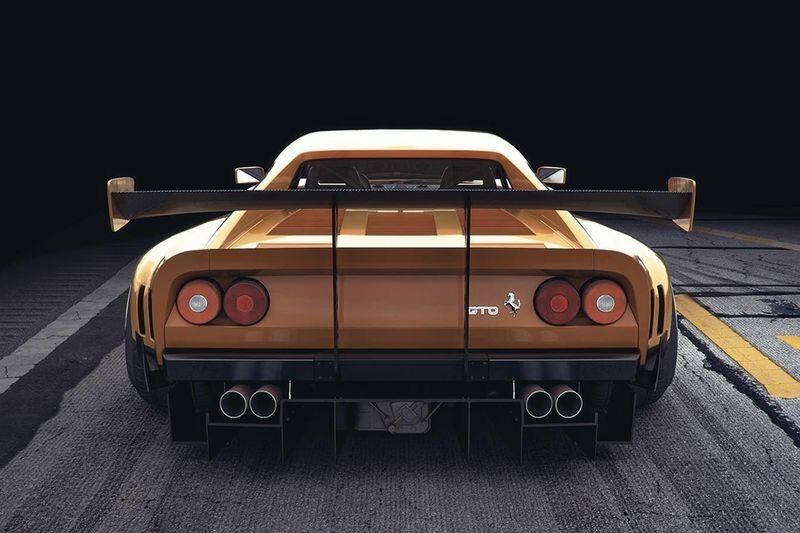 The rendered artist is known as Zoki Nanco and shared these digital images online that envisions a Ferrari 288 GTO R. The rendered car is jam-packed with aerodynamic addenda, from the strutted front splitter and side skirts to massive rear diffuser and rear wing so it looks like you could serve an entire dinner party off of it. The interior of the Ferrari 288 GTO R, as much as we can see through the windows, looks mostly untouched (save for the roll cage), suggesting this would, in turn, be a road-going version of the racing model. But the road-scraping ground effects suggest otherwise. One way or another the car certainly does catch your eye as well as the imagination, who knows, somewhere someone will maybe turn this Ferrari 288 GTO R into a reality!! Have a look at the gallery to see it for yourself.